Free watercolor painting demonstrations will be offered by Juan “Magoo” Valencia on April 16 at 6:30 p.m. in the community room at Barnes & Noble in Valencia. This is part of the Santa Clarita Artists’ Association’s (SCAA) goal of Making Visual Art Visible by providing free art instruction to residents through monthly demos. 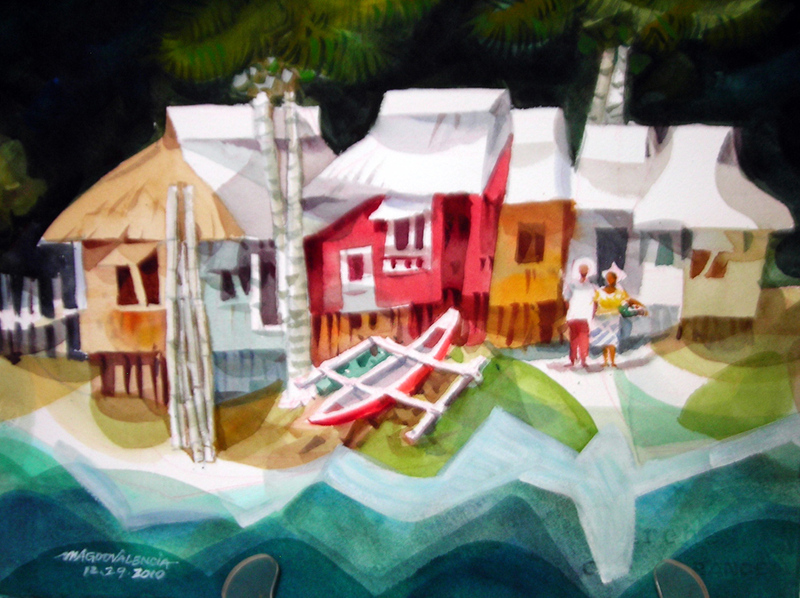 Magoo is one of the Philippines’ foremost watercolorists with more than 100 group art shows to his credit. He is a portrait and caricature artist at Disneyland and California Adventure, judges art shows, and conducts watercolor classes, demos and workshops. Magoo won several awards at city art competitions in Southern California and was awarded Torrance Artist Guild Artist of the Year in 2008 and 2009. His subjects include landscape, seascape, still life, and old houses. Magoo is a founding father of the Philippine Watercolor Society. View his work online here. The SCAA meeting will be held in the community room at Barnes & Noble, 23630 Valencia Blvd. For more information on SCAA, visit santaclaritaartists.org or call 661-244-7689.